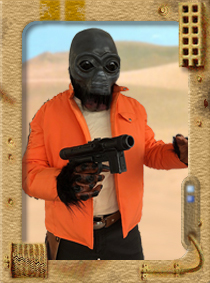 Congratulations to Dreadnought on his Ponda Baba. Congrats mate , well done . Congratulations Jason, well done mate. HA, this is amazing. Well done. Love it! Very cool, don't go losing any limbs now ok! !, Congrats mate you look great. Scary lookin' dude Awesome work though. Well done mate.